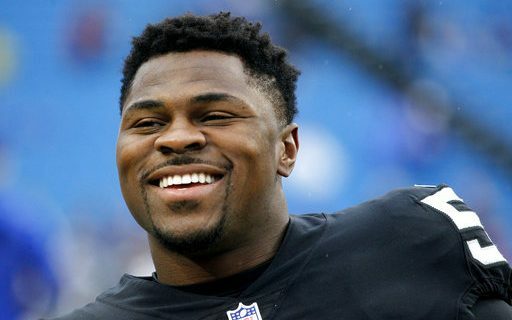 There were many Buffalo Bills fans and even some Bills media who badly wanted the Bills to be the team that acquired former University at Buffalo defensive end Khalil Mack. Now that the trade has been made and Mack is a member of the Chicago Bears, we can see why Buffalo never could have gotten that deal done. The main reason is money. Sure the Bills have the cash available to write a contract similar to the one Mack received, but they didn’t have the cap space to do that kind of deal. Reality is that since Head Coach Sean McDermott and General Manager Brandon Beane have been running the Bills organization, they have been playing with a deck that has been less than full. When Bean and McDermott took over the Bills they had a team that was loaded with bad contracts, contracts that gave big money to undeserving players. They had to clean up that mess and, in order to do that, it takes sacrifice. The Bills have sacrificed the last two seasons and following the 2018 season the Bills will be out of cap hell and will be able to compete on a more equal basis with the 31 other National Football League clubs. Looking at the Bills cap situation, they have cap space of only $7.8 Million dollars after the cut down to 53 players. The reason they have such a low amount of cap space is the dead money from former players. Just to give you an example, Marcel Dareus has a cap hit of $13.5 Million, Cordy Glenn carries another $9.6 Million and Tyrod Taylor has 7.6 Million. Eric Wood, who had to retire because of a serious injury, is on the books for another $10.4 Million. Add that up and we can see why the Bills couldn’t get involved with Khalil Mack. As early as two weeks ago no one knew the kind of money that Rams defensive tackle Aaron Donald and Mack would get. Both wanted to be among the highest paid defensive players but negotiation on those contracts had not even begun. When clubs get to the end of training camp and final rosters have to be determined, that by itself has a way of getting deals done. On Thursday the Rams finally got a deal done with Donald and that deal was worth over $141 Million spread over a six year period. The deal is fairly team friendly for 2018 with a cap charge of $8,892,000. But the next two seasons the cap hits are $17.1 million and $25 million. Mack’s agent Joel Segal wasn’t going to take less for his player. When the deal was done on Saturday night, it came in at $154 Million over six years with a cap hit of $13.8 Million in 2018. Reality is the Buffalo Bills couldn’t have done either of those deals because of the cap situation they are in today. The good news is come next spring the Bills will have cap flexibility, with most of the dead money gone, to do much more in the veteran free agent and trade market. That doesn’t take away from the hurt that Bills fans have today, but still it’s good to know that in the future the Bills will be able to compete on a more steady basis when players like Mack become available.